I hope that my work would impact how many black boys are being referred to special education services. As a novice teacher in a Denver elementary school, Nathan Hoston recalls his growing discomfort with how students were being referred to special education services. “The first year," Hoston said, "the system seemed biased and subjective in a way that made me uncomfortable." Hoston, who at the time was teaching kindergarten through second grade students with high-incidence disabilities, saw black boys disproportionately represented in special education services at his school and surrounding schools. 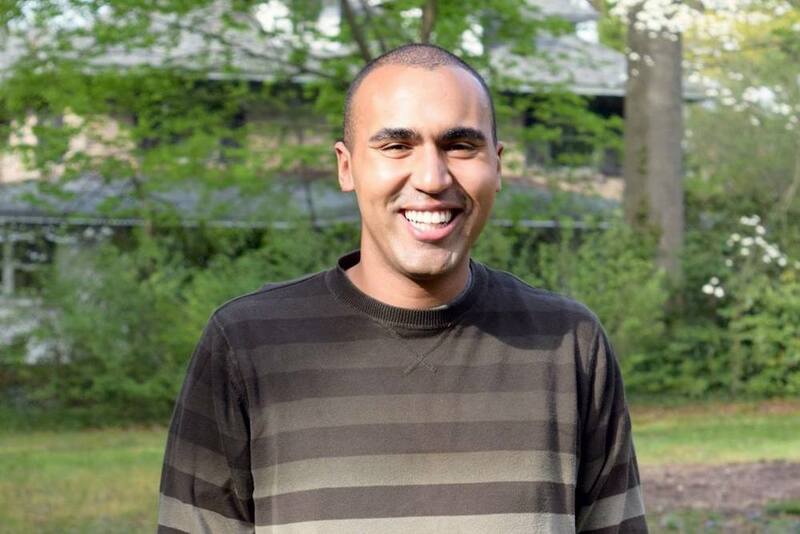 After four years leading his school's special education department and Multi-Tiered Systems and Support (MTSS) team—and seeing research confirm the disproportionality he saw on the ground—Hoston is taking on the challenge as a doctoral student at the University of Washington College of Education. It’s an issue that’s personal for Hoston, who received special education services as a child. He still recalls the moment when he became aware of being different that his elementary school classmates. “I remember one time that my sister ran up to me and said, ‘Nathan! Mom told me that you were born with a tail and that you are in special ed’,” Hoston said. In preschool, Hoston was identified as having a speech-language impediment. He was often pulled out of class to receive small-group instruction with other students who had more severe disabilities. By second grade, he had tested out of special education and stopped receiving services. While Hoston was accurately identified as being in need of special education services, research shows that this is not always the case. Historically, overrepresentation in special education has been detrimental for students of color, especially for black boys. Hoston also notes that black boys who have been referred to special education services are more likely to receive unfair punitive procedures, and later on in life, black boys in special education tend to face worse post-secondary education outcomes than their peers. By receiving unnecessary special education services, he said, black boys continue to experience the negative impacts of a widening opportunity gap. By the end of his second year as a teacher, Hoston was asking questions that led him to pursue further education. After finding the UW College of Education’s special education program, Hoston moved back to his home state of Washington to earn his doctorate. Taking on the issues he observed in Denver, Hoston intends to focus his research on streamlining MTSS interventions and reducing the number of African-American boys being referred to special education services. Hoston noted that as a student moves through special education intervention cycles, the school’s MTSS team should be discussing that student’s progress. Yet due to a lack of clear guidelines, this process is frequently inefficient. Through his research, Hoston plans to improve MTSS meetings and standardize intervention approaches across schools. In the future, Hoston, a recipient of the College's Vivian Cady Johnson Endowed Memorial Scholarship, hopes to continue working with school districts on their special education intervention processes by helping to create MTSS teams in schools. He is also interested in continuing to conduct research while working in a school district. Another option is going back into a school as a principal where he can engage with students personally.